Tripswitch’s journey through electronic music continues unabated, as this musical chameleon continues to surprise and delight fans old and new with his inspired melodies, impeccable production and uncanny skill for storytelling.Originally signed to Youth’s Dragonfly label, which brought forth the seminal album “Circuit Breaker” in 2005, widely held up as a classic in the ambient/downtempo genre. The album was honoured with numerous high-rated reviews (including praise from Anoushka Shankar in the New York Times), BBC Radio 1 airplay, and support from the likes of Nick Warren, Jose Padilla and Claude Challe – who all picked up tracks for their own compilations. 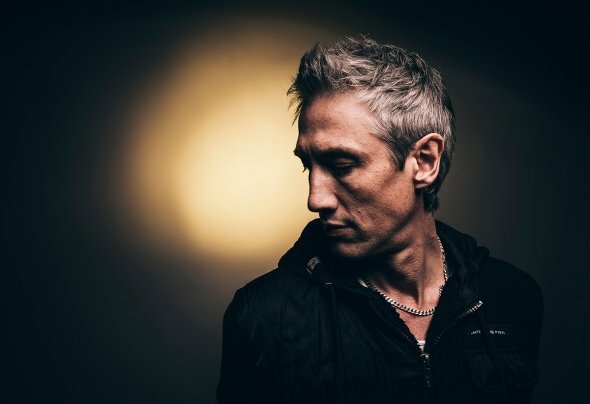 Nick launched his own label – Section Records – in 2010 with the release of his second Tripswitch album ‘Geometry’, followed by a string of critically acclaimed singles and EPs which attracted support from the likes of Orbital, Hernan Cattaneo, Way Out West and Sasha, along with more glowing reviews in the music press.Nick used the release in 2016 of his latest full length artist album, “Vagabond” on Iboga Records, as an opportunity to relaunch himself into the world of progressive house, the very music which drew him into the dance music scene in the early nineties. Vagabond smashed a lot of preconceptions about him being “just” a chillout artist, and the album dominated the Beatport charts for weeks.Nick has been busy on a whole host of new projects since Vagabond, notably collaborating on several productions with godfather of prog Nick Warren for labels including Sudbeat and The Soundgarden. He has also found the time to formulate a whole new imprint, onedotsixtwo, which launched on 1st May 2017 with the release of the 23 track DJ-mixed compilation “In At The Deep End”. Through consistent quality-controlled output, and with the remarkable smash ‘Voight Kampff’ from the 2 Nicks, onedotsixtwo has rapidly become a key label to watch for those turned on to quality, melodic progressive house.